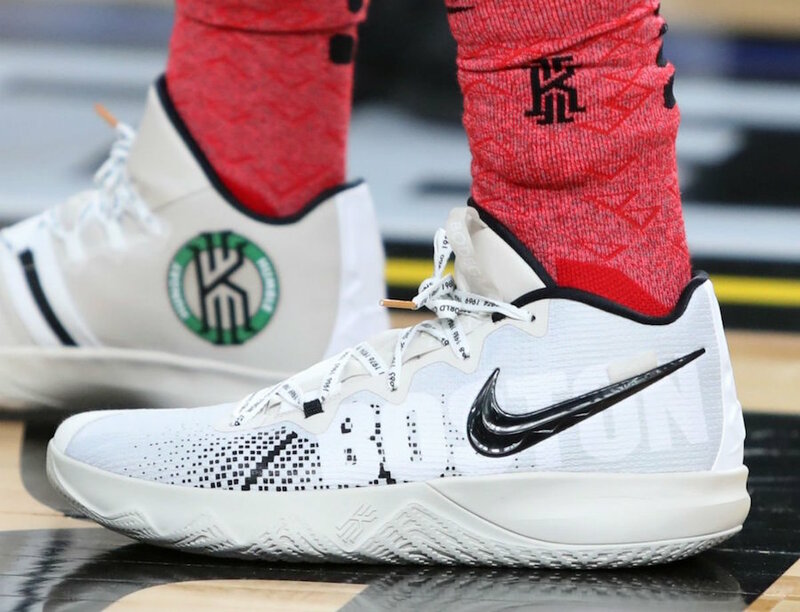 Kyrie Irving debuts his newest “Budget” shoe during the 2018 NBA All-Star practice session, which is known to be a platform where the newest signature model shoes to be showcased. No official named has been announced yet, but this particular Nike Zoom pair pays tribute to the Boston Celtics championship legacy. It includes the words “Boston” and “Pride” along the sides with the years of Boston’s championships on the laces. 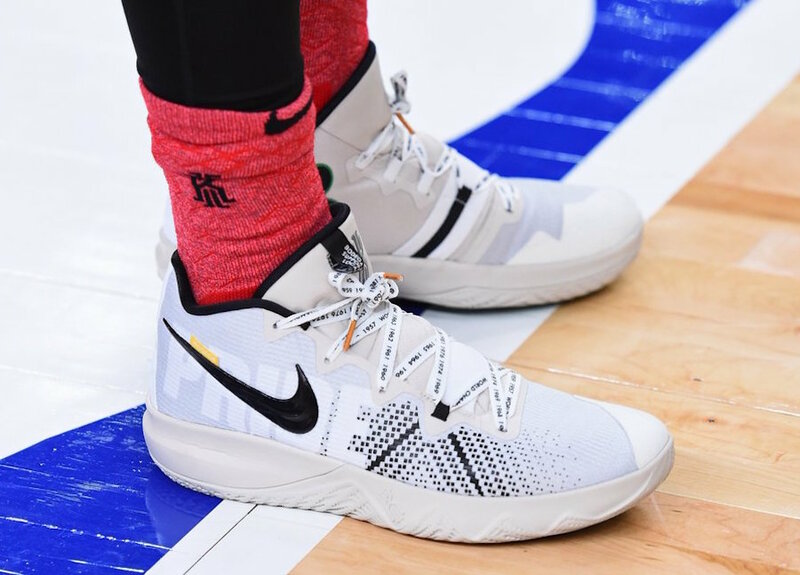 Several interesting details of the shoe include a very Off-White inspired tag at the end of the swoosh on the right shoe as well as a possible hint of collaboration with the Boston-based boutique Bodega. Release info has yet to be announced, but the price tag is said to be set at $80 USD. Follow us at Modern Notoriety for more updates as they come.